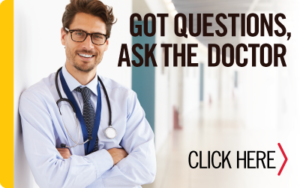 When you have Peyronie’s disease, finding knowledgeable and comprehensive medical care is often confusing and frustrating. Not enough is known about this disease, and treatments may vary widely according to the physicians’ knowledge and experience. Finding qualified help is essential. While the APDA cannot and will not recommend or endorse any physician, we know there are those who have the experience and knowledge to help. We also know that responsible physicians who do not have the knowledge or experience needed will refer you to one who does. Ask questions. A good physician will either answer directly or tell you he doesn’t know. He or she will give you both sides of the story, good and bad. Look at the facts, and if possible, get a second opinion. When you make educated decisions, you can be comfortable in whatever course of therapy you choose. Read Dr. Mulhall’s suggestions for choosing a Peyronie’s disease doctor. Register to be added to the Physician Finder? The APDA Physician Finder is updated as physicians are added. If you do not see a physician in your area, talk to your family doctor for a referral or contact us for more information. Dr. Hossein Sadeghi-Nejad, M.D., F.A.C.S. Dr. William O. Brant, M.D. 11010 101st, 400 Hys Centro.